I received lot of requests from my readers that asked to me how to design Twitter and Facebook like status message(image + text) with CSS. So that I had presented a very basic level CSS tutorial with Div and Ol tags, truly it's for CSS beginners. I hope you like this. Thanks! Status message box divided into three parts are (1) Body, (2) Image and (3) Text. 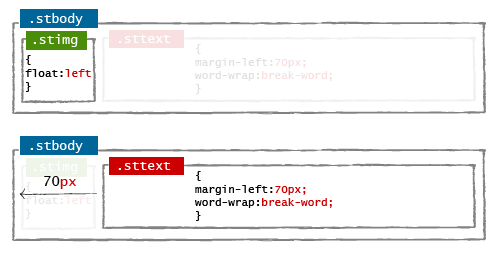 Here stbody, stimg and sttext are class names of Body, Image and Text div tags respectively. I suggest you do with order list tag it's very flexible for jquery animation effects. Delete Records with Color Change Effect using jQuery and Ajax , now I am going to try out this one too..thanks..But u dont blog frequently..i wud i want some tips on a weekly basis.. It'd be awesome if you could make something to reply to the messages. Then the replied message would be a little shorter and above the original message. the Demo is not working ! !